When it’s presented in this manner (there are a ton of infographics on this subject, maybe you’ve seen them? ), it’s easy to think that all you need to do is decide how you want your brand to be perceived, and then pick the color that evokes the right emotional response. So for example, if you want to be thought of as a reliable business, you choose blue. Then, everyone will know that you’re a reliable business. Is it really that simple? Well… not quite. There are a lot of misconceptions about this subject and it often sparks lively debate amongst designers, so I’m here to offer my perspective, but ultimately, it’s up to you to decide. Before I dig in, I want to make it clear: the psychological response to color real―study after study has proven it, and I’m not here to suggest otherwise. 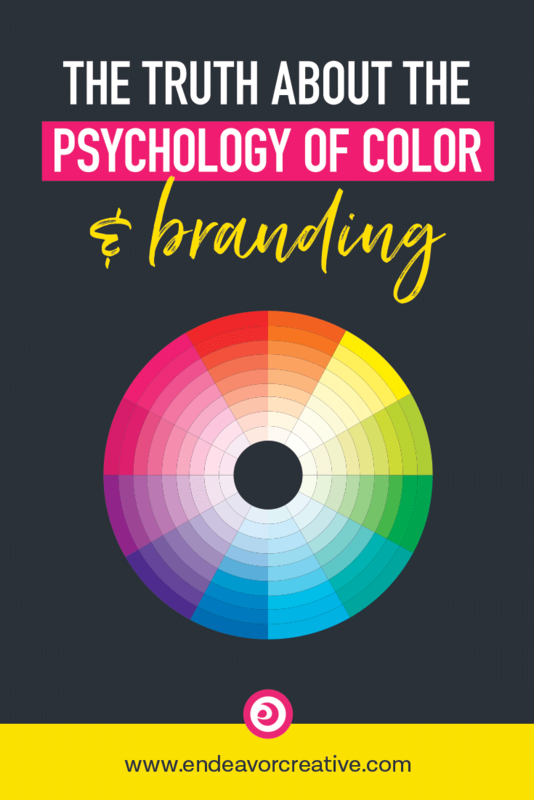 But how people apply this science in branding–as if there’s some magic formula for choosing colors–is where people lose me. “As research shows... personal preference, experiences, upbringing, cultural differences, and context muddy the effect individual colors have on us. 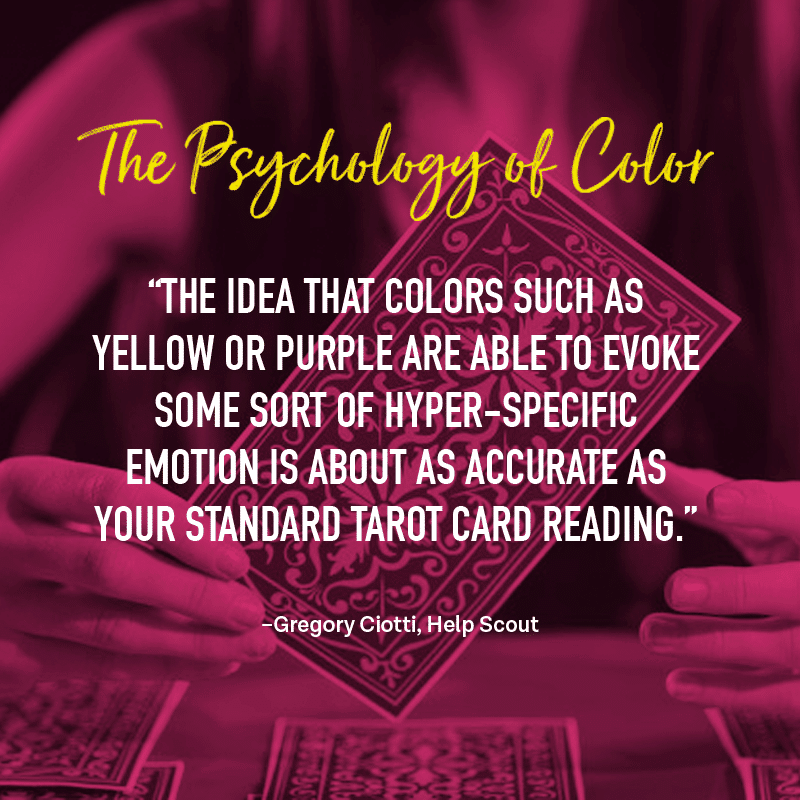 So the idea that colors such as yellow or purple are able to evoke some sort of hyper-specific emotion is about as accurate as your standard palm reading. But there’s still plenty to learn and consider if we humbly accept that concrete answers aren’t a guarantee. The key is to look for practical ways to make decisions about color. I want to share a little experiment I conducted. 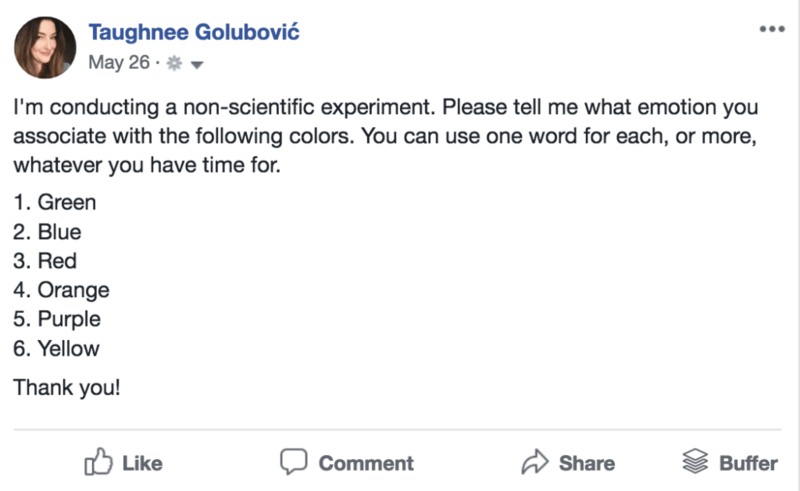 I polled my Facebook friends and asked them what feelings they associated with the following colors. The responses were numerous. One thing is for sure, people have strong opinions about color. 😝Cowardly, anxiety, hungry, bored, indifference, weak. For each color, were positive responses and there were negative responses too. One person’s “calm” was another person’s anxiety trigger. The symbolism associated with colors differs across cultures. For example, Americans may broadly associate the color yellow with cheerfulness, while the French broadly associate it with jealousy or weakness. In America, the color purple may signal that something is expensive while in Japan, that it’s cheap. Studies show that young children prefer warm, strong and intense colors, and as we get older, we begin to prefer cooler and softer shades. According to psychologist E.R. Jaensch’s research, the climate we live in influences our color preferences. Broadly, those who live in sunny climates like warm and bright colors and those who live in cold climates prefer cooler, less saturated colors. Studies have shown that men seem to generally respond more favorably to bold colors and women to softer colors. Women generally like purple, but men don’t like purple. How should we consider these factors when choosing brand colors? These generalities are considerations and they’re helpful to know (and I absolutely do consider them when I’m making decisions about color for my clients), but I don’t consider them as law. If a brand breaks stereotypes and does the unexpected, they’re going to stand out, and to me, that can be a good thing. In other words: If your target audience consists of men, does that mean you shouldn’t use the color purple? Or if they’re in Norway, you shouldn’t use bright colors? In my opinion… of course not. Take my own branding for example–my main brand color is hot pink. If I were to have relied solely on those psychology of color charts, I wouldn’t ever have a single male client and only immature people would be drawn to me. But the fact is, I’ve always had just as many male clients as female and I have a very sophisticated clientele. My choice to use hot pink was more about conveying my brand’s personality and to choose a color palette that’s bold and eye-catching and frankly, one that makes ME happy to look at. At the end of the day, people are hiring me … so by being “me” with my colors, I attract “my people.” People who are looking for a designer with a completely different aesthetic and personality are probably going to keep on looking… but that’s perfectly okay. My goal was not to try to satisfy everyone (that’s not possible anyway). Another example. I’m a woman and consider myself to be “feminine,” but I’m not drawn to pastels. Does that mean I’d never trust someone with pastel brand colors? Does it mean that I’d never choose pastels for a client’s branding? Hopefully, you’re starting to see how silly that sounds. The answer, again, is of course not. Should you use those color psychology charts to help you choose the right colors for your brand? As a place to start, sure. But keep in mind that these charts are a shortcut to understanding the symbolism and stereotypes of colors (e.g. yellow is cheerful, red is powerful) — and there’s nothing wrong with becoming familiar with those stereotypes. But these generalities don’t take into account the personal, cultural, age and geographical differences and preferences. 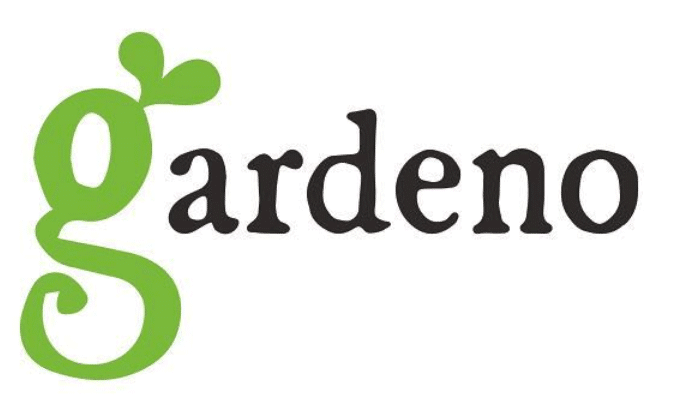 Does it make sense with what you’re selling? (Is it appropriate?) Rely on your common sense here, you can trust it. 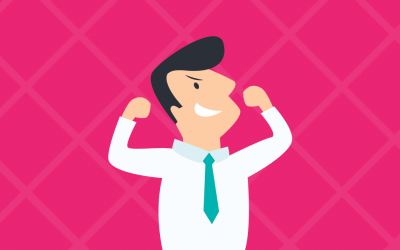 If you’re a corporate law firm and your favorite color is hot pink, it’s probably not a good idea to use your favorite color and instead, stick to a more conservative palette. On the other hand, I can get away with hot pink here at Endeavor Creative because I’m a creative services company. If I had chosen “corporate blue” I know I wouldn’t have attracted the right people to me because my whole brand message is about being brave enough to smash conformity and I have to walk the walk. Corporate blue would not have been appropriate in that context. If I was selling deodorant to men, I probably wouldn’t use hot pink packaging. Does your color choice make sense with the personality you want to convey? This is where you think of adjectives you want to become known for and then decide which colors you associate with those adjectives. Again, your intuition will give you a good starting point. Say you choose the adjective BOLD and you decide that you want to go with red. Cool. Great choice. But you could have easily gone with blue, or purple, or pink, or orange. I know, I’m not helpful. But I’m here to give you permission to break the “psychology of color chart” rules if you want to. Here’s my own brand color as an example (in the middle), with black applied (on the left) and white (on the right). You can change the personality of a color by changing its shade or tint. For example, while I do use pink as my primary brand color, I don’t consider it to be a feminine pink. It’s energetic like red and it has a bit of quirkiness and boldness that perfectly conveys what I’m about. I might go so far as to say that this pink is more masculine than feminine. If you want to be seen as a bold, innovative, forward-thinking company and you choose blue, you might choose a bright blue rather than a darker shade or lighter pastel tint. 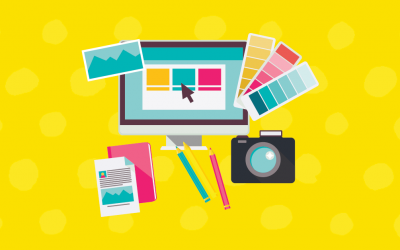 It’s important to know which colors are commonly used in your industry or niche in order to gauge appropriateness. But keep in mind that using “on trend” color palettes and following industry stereotypes and norms too closely means that your brand will blend in with everyone else’s. Consider smashing conformity. 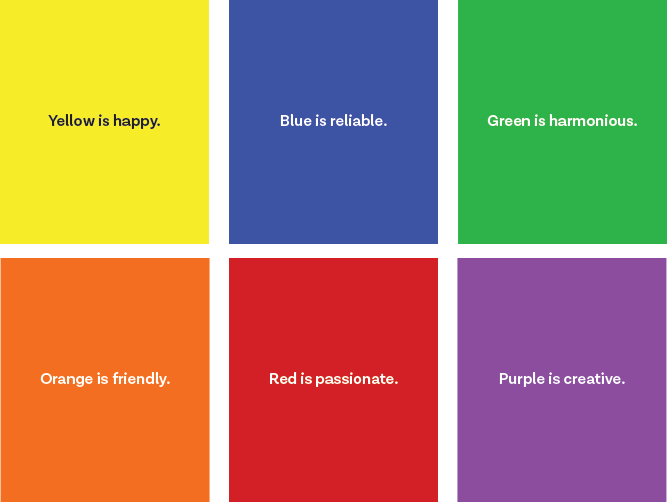 If everyone in your industry is using corporate blue — try red, or green, or purple. If everyone in your industry is using pastels, try using a bolder color palette instead. If it’s appropriate and conveys your brand personality, don’t be afraid to take a risk if it means you’re going to stand out in a sea of sameness. Selecting the right colors for your brand ain’t easy–I wish I could just give you a chart to follow and call it good, but for me, it’s just not that simple. Understanding color stereotypes is important, but they become problematic when they’re relied on exclusively to base the decision. Personally, I rely on my common sense, intuition, and competitive research more than I rely on those color psychology charts. If you need permission to do the same, now you have mine!